2013 has been a mixed year for Indian football. While the national team has had a rough year in office, the country, on the other hand, was awarded the rights to host the 2017 U-17 FIFA World Cup. During the year, IPFCA and IMG-R openly traded blows, while Pune FC managed to finally fulfill the AFC Club Licensing criteria, thus becoming the first Indian club to do the same. With 2013 having given way to 2014 now, Indian football fans will be hoping for much better things from the game this year, domestically. This seasonai??i? ?s edition of the I-League has perhaps been the most competitive one in the leagueai??i? ?s history. As things stand, at least six sides stand in contention of clinching the crown, while the competition is quite stiff even at the bottom of the table. Bengaluru FC sit at the top of the table going into the winter break while Sporting Clube and Pune FC lead the chasing pack. East Bengal look like one of the strongest contenders this term, with 12 points less than the leaders but having played four games less. At the bottom of the table, meanwhile, lie defending champions Churchill Brothers, although eight other teams also face the prospect of going down too. Thus, with less than half of the season to go, the 2013-14 I-League season seems to be heading to quite a thrilling finish. Will Bengaluru FC win the title in their debut season? Will East Bengal break their I-League hoodoo. 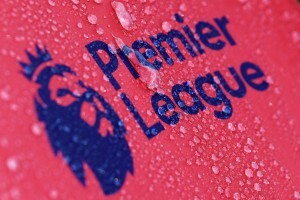 Will the title holders face relegation? It will be quite interesting to see. Pune FC made history when they became the first Indian club to fulfill the AFC Licensing criteria. Last month, they obtained a spot in the qualifying rounds of the 2014 AFC Champions League. 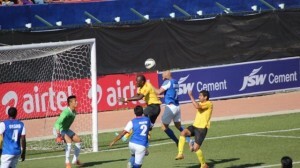 However, Pune FC will now face a tough road to make it into the group stages of the tournament. The club will have to get past three one-legged knock-out rounds if they are to make it into the main stages of the continentai??i? ?s biggest tournament. Their first hurdle is Vietnamese side Hanoi T&T, whom they will face at home on February 2. A win will see them visit Thailandai??i? ?s Muangthong United 6 days later. Another win here will mean the Red Lizards will have to face off against Australian giants Melbourne Victory another week later, with the winner progressing into the tournamentai??i? ?s group stages. The U-19 I-League will return this year in a much-improved, regional format. The league will be played in two phases; firstly, in a zonal format involving home and away games, and then a final phase will be held in Jamshedpur. The new format will not only help in getting more clubs across the country field their U-19 teams in a competitive league, but will also mean that talented young players, for instance those from Mizoram and Meghalaya, will get the feel of participating in an important nationwide league, which they would have otherwise missed out on. The U-19 league is a stage for future I-League stars to strut their stuff, and the new format will definitely help in bringing in more young stars on the forefront. A few weeks back India was awarded the rights to host the 2017 U-17 FIFA World Cup. Encouraged by FIFAai??i? 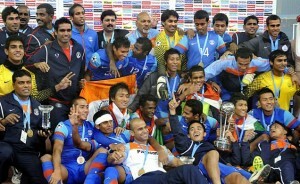 ?s enthusiasm towards the country, the AIFF has also lodged its interest of hosting the 2015 and 2016 FIFA Club World Cups. FIFA will now have to name the host nation in 2014, with the decision being expected in somewhere around the summer. If India succeeds in bringing the Club World Cup to the country, it will not only be a big boost for Indian football on and off-the-field, it will also serve as a warm-up event for the organizers ahead of the 2017 U-17 Club World Cup. Moreover, the reigning league champions of the country faces the prospect of coming up against some of the top clubs of the world. 2013 has been a wretched year for the Indian national team. The Blue Tigers will now hope to put the dismal year behind and produce better results in 2014. Expectations are always high from the Indian fans which Wim Koevermansai??i?? boys will hope to live up to when they take the field next year. The Indian football fans will hope that the AIFF makes full use of FIFAai??i? ?s international dates to set up friendlies against higher ranked sides. With India languishing at a ranking of 154 in the FIFA World Rankings, the onus will be on Sunil Chhetri and co. do well and move up the ladder during 2014. The Indian team may feature some new faces during the year, with the likes of Anas Edathodika, Boithang Haokip, Beikhokhei Beingaichho etc. being tipped to finally break into the side in 2014. There are many other events which Indian football fans will be waiting for with bated breath. The Federation Cup will travel to Kerala, with Kochi and Manjeri set to host the games throughout the tournament. Local side Eagles FCai??i? ?s participation will certainly generate a lot of excitement in the football-loving state, although holders East Bengal will once again start off as one of the favorites. Another important event will be Subrata Paulai??i? ?s proposed stint with Danish side FC VestsjAi??lland. It will be interesting to see what kind of role the Indian custodian is given at the club, which is part-owned by Anglian Holdings, co-owners of Shillong Lajong FC. The first edition of the Indian Super League is also slated to be held this September, with the presence of several retired international stars set to pull Indians to the stands during the tournament.